Adventures in Spice is a purveyor of quality herbs, spices, and gourmet blends that can take your ingredients from ordinary to memorable. Here is their very useful chart to provide suggested uses/pairings of spices to bring greater depth of flavor to your dishes. 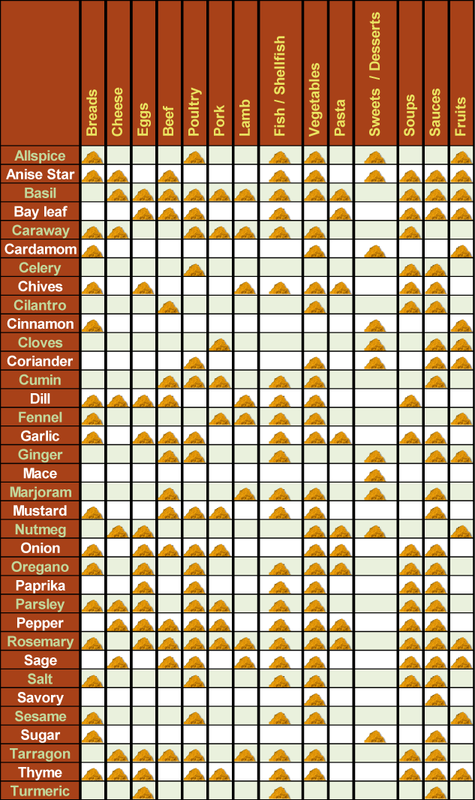 At-a-Glance Chart of Spice Usage.